The Supreme Court has fixed April 26 to deliver judgment in the case in which the government was being challenged for allegedly bringing into the country two former Guantanamo bay detainees, without recourse to the laws of the land. Mrs Dorothy Afriyie Ansah, Chief State Attorney informed the highest court of the land that the state would rely on their memorandum of issues filed on March 16, last year. Mrs Afriyie-Ansah said the state would also rely on its previous statement of case. Mr Kweku Darko-Asiedu counsel for the Plaintiffs, Margaret Bamful and Henry Nana Boakye said they are also relying on their statement of case filed on December 13, last year and their further arguments before the court. The seven member panel presided over by Justice William Atugubah therefore fixed the aforementioned date for judgment. 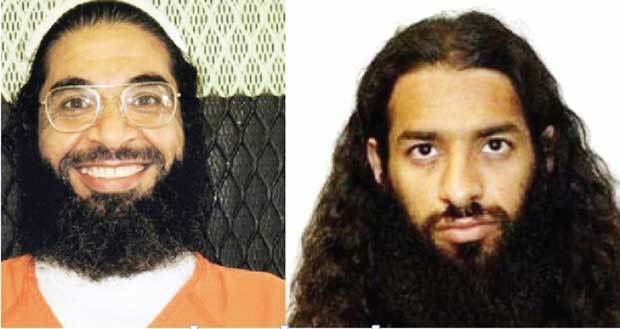 The Supreme Court had earlier ordered the government of Ghana to release its agreement with the United States government regarding the acceptance of two Guantanamo Bay detainees into the country to counsel for the plaintiffs. According to the court the release of the documents to only lawyers in the case could not result in any security threat. The AG however held that documents in the agreement were confidential and any disclosure to the public or open court would violate section 1 of the State Secrets Act, 1962 (Act 101). Margaret Bamful and Henry Nana Boakye last year sued the Attorney General and Minister of Justice as well as the Minister of Interior, accusing government of illegally bringing in the two former Gitmo detainees, without recourse to the laws of the land. The two plaintiffs were therefore seeking a true and proper interpretation of Article 75 of the 1992 Constitution of Ghana, the President of the Republic of Ghana acted unconstitutionally by agreeing to the transfer of Mahmud Umar Muhammad Bin Atef and Khalid Muhammad Salih Al-Dhuby. Two Guantanamo bay detainees, Atef and Al-Dhuby had been in detention for 14 years by the United States after being linked with the terrorist group Al-Qaeda.